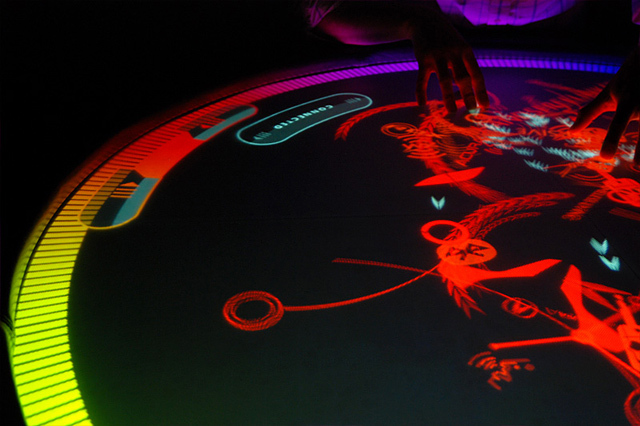 I brought in Moto Development to create the multi-touch technology and optics, coordinated Moto with the creative team, advised on interaction design issues, and developed test projects and tools exploring different interaction possibilities. 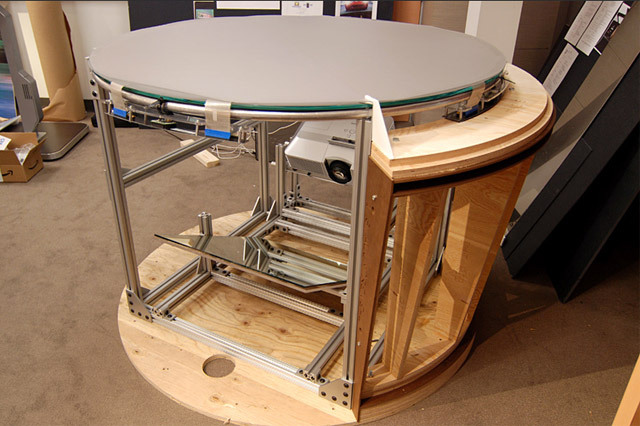 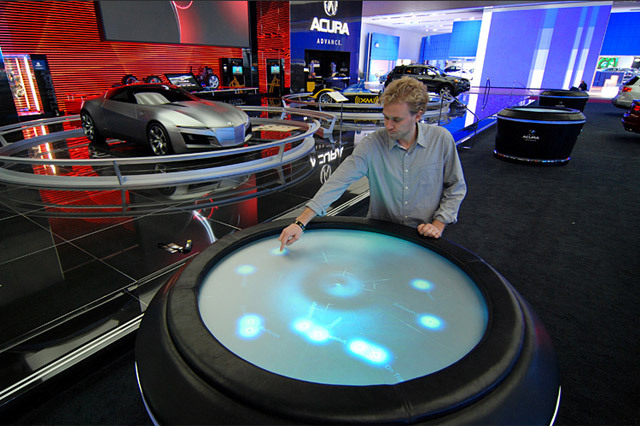 In the summer of 2007 GPJ loaned an Oracle for use in my class, and student Jonathan Jarvis made demos that became the design basis for the second version that was at the 2008 auto shows. 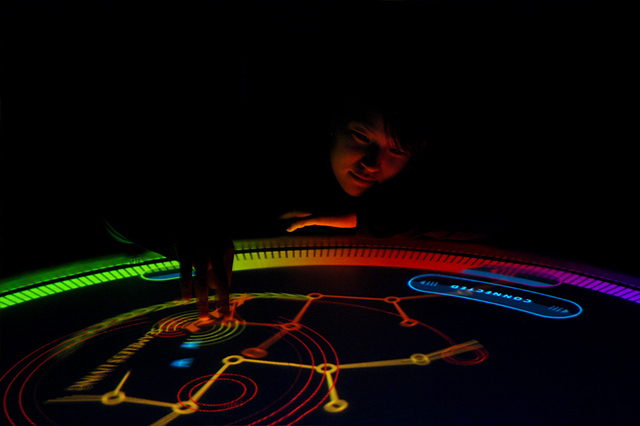 See also a page put up by Bill Buxton, one of the original people to implement multi-touch systems back in the ’80s. 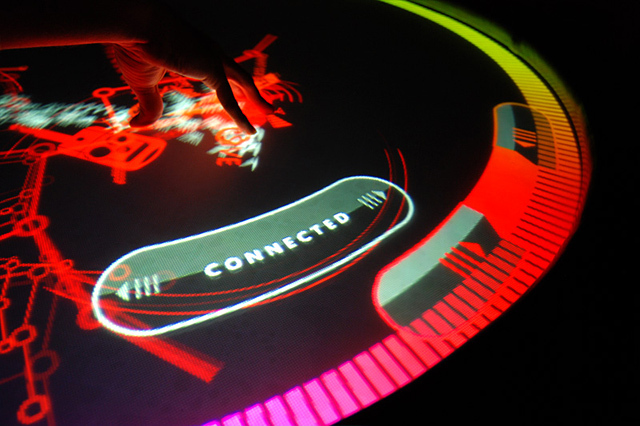 Acura Interactive Oracles from Jonathan Jarvis on Vimeo.